3 ways to wear it depending on weather and season: practical, this 3-in-1 parka adapts to the unpredictability of the weather with its removable inner bodywarmer! 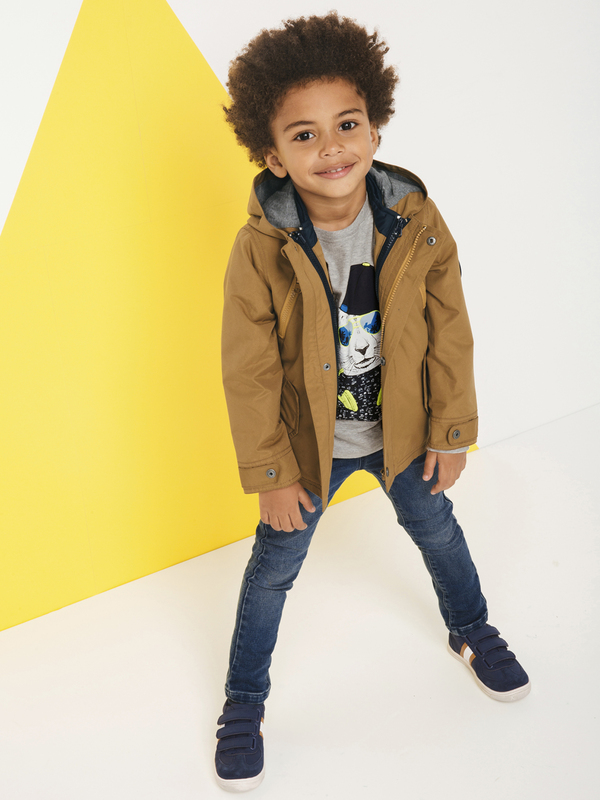 Boys' parka: 53% polyester, 35% cotton, 12% polyamide. Jersey knit fabric lining in pure cotton. Bodywarmer: 53% polyester, 35% cotton, 12% polyamide (top part) and 100% polyester (bottom part).